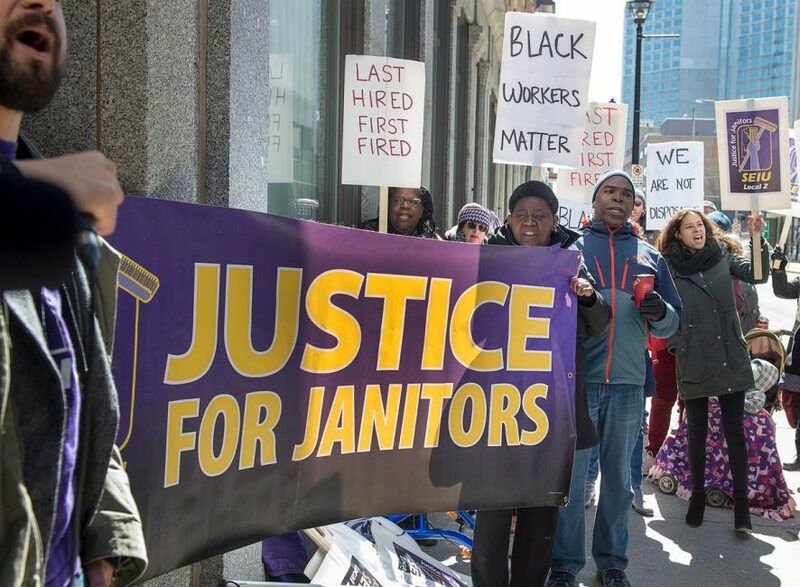 HALIFAX—Dozens of people rallied outside a downtown Halifax office building Monday in support of a group of Black janitors who were fired from their jobs after they revealed plans to file a human rights complaint based on allegations of racial discrimination. About 70 people gathered outside Founders Square to support janitorial workers, who were told they would be laid off at the end of this week, but were terminated last Friday after the allegations were made public. Darius Mirshahi, an organizer with the Service Employees International Union Local 2, said the group will file another complaint alleging that the workers were fired abruptly for complaining about alleged racism.